The Student Government Association has agreed to purchase four high-definition TVs for the area outside Einstein Bros. in the Morgan University Center after an extended discussion on Wednesday, Oct. 28 at the weekly SGA meeting. Prior to the discussion and vote, several students attended the meeting to give their opinions on the purchase. Phillips encouraged SGA to seek other options, including speaking with Chartwells to change the messages shown on the TVs in the Grill. SGA President Will Roberts explained the issue is the televisions in the food court are run and separately contracted by Chartwells, who has full control over the televisions and what is played on them. After discussing the overall cost, Sen. Dylan Kellogg said it would be closer to $700 rather than $9,000. He said it was “absurd” and suggested SGA ask for a lower price. Kellogg added they could also improve advertising by using their own television systems. Sen. Glenna Beaty reassured the concerned students that SGA does not spend money frivolously, and asked them to look at the long term effects of this addition. Resolution No. 10, proposed by Sen. Frank Burns, was also passed during the meeting. The resolution gives students the opportunity to donate meals to the needy. After some questions about the implementation of Burns’ plans, he went into further detail about how the meal vouchers would work. Due to time running out, the discussion and votes on Resolution No. 11, Act No. 5 and Act No. 6 have been tabled until the next meeting on Wednesday, Nov. 4. 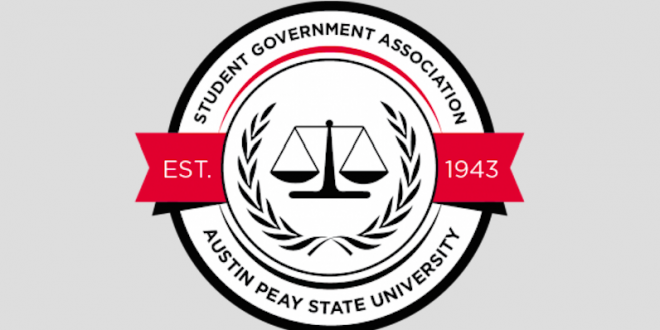 So, the Student Government is willing to spend $9,000 on bigger televisions for entertainment purposes, but when it comes to a bill that would essentially commemorate the NPHC Organizations that do so much for this campus, the Student Government Leadership is totally opposed to funding or even assisting in that endeavor? It seems to me like the priorities of many of our elected SGA officials are entirely out of order. It is very similar to the “party politics” that we see on Capitol Hill that frustrates many American Voters. We elect representatives to represent our interests in the Student Government, but one many of them get into Office, they forget why they are there and whom they are representing(more specifically whom their vote is supposed to represent). I must say that I was thoroughly disappointed when Chief Justice Bearden openly and vigorously opposed the bill introduced by Senator Frank Burns to start planning the building and funding of Commemoration Plots for the National Pan-Hellenic Council Greek Organizations. So what I am gathering is that it is more important and acceptable for our SGA Officials and Representatives to support and find legislation for new Televisions in the UC, but not Commemoration Plots for Greek Organizations that strive to better our Campus on a daily basis.